If you own a home or business in Brooklyn, pest control should be your top priority. Pests can make or break your business’ success, and they can really damage your reputation if left unchecked. Consider organic pest control options in Brooklyn to set your mind at ease. Rest Easy Pest Control is a premier option for eradicating pests from your property. 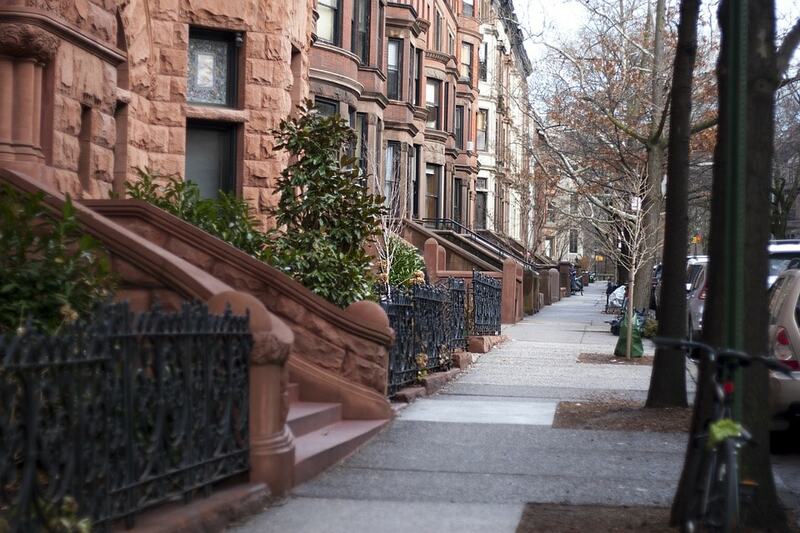 We’ve treated homes and businesses in almost every neighborhood in Brooklyn. If you want your situation taken care of and to eliminate it once and for all, give us a call. We’ll have it handled in no time. If you own a home, you should make pest control one of your top priorities. When you have guests over for dinner, you shouldn’t have to worry about whether a rodent or insect problem will make an appearance. Rest easy by investing in regular pest inspections and preventative measures. A pest control professional can examine your home for possible entry points and also help you to devise a plan to address all kinds of potential pest problems. When you choose Rest Easy to fight off pests in your Brooklyn home, you know you’re in good hands. Our exterminators have hundreds of hours of training and are more than professional. They will inspect the entire home to identify the problem areas and eliminate pests the most efficient way possible. If you need residential pest control services in Brooklyn, call Rest Easy today. Our customer service representatives will set you up with the soonest available appointment. Regardless of whether you own a restaurant, apartment complex, or shopping center, pests are something you should never let hang around long. While you want your customers to linger, pests have the ability to wear out their welcome as soon as they enter. Pests can cause failed health inspections and poor customer impressions, so it’s important to eliminate them as soon as they appear. Don’t risk losing your business to a pesky rodent or insect infestation – hire professionals to weed out potential problems before they even appear. Cockroaches are one of the most common types of pests in Brooklyn, rearing their ugly heads in homes and businesses alike. While proper cleaning and maintenance can help prevent these pests from entering your home – they tend to be attracted to old food that has been left out and easy access to water, such as in drains – they cannot always be prevented. For example, cockroaches spread easily between apartment units, giving you little control over what enters your personal space. Our team of exterminators has seen it all. No infestation is too big or small for our expertise. When you have a problem, just give us a ring and we’ll send out our next available roach exterminator to your doorsteps. Another common pest in Brooklyn is the Norway Rat. This rodent is large and can bite when encountered. A rat bite can spread serious diseases to you, as can contamination from the rat’s fur to your food. Common diseases spread by rats include salmonella and the plague. Make sure you take immediate action if you suspect a rat infestation, as these pests breed quickly and can rapidly grow out of hand. Some pests cannot be prevented at all. Stinging insects, like wasps and bees, typically build their nests under the eaves or gutters of buildings, as well as in sheds or under decks. These pests can induce painful, sometimes life-threatening, stings (generally to people who are already allergic). Don’t try to remove a stinging insect nest on your own – always leave that task to the professionals, who know exactly how to handle these dangerous insects. Rest Easy is your bee removal solution in Brooklyn. If you’re experiencing a bed bug infestation, it’s recommended you call a professional right away. Rest Easy Pest Control has bed bug control experts. We will send a technician into your Brooklyn residence where they will inspect the property thoroughly. Once the problem is identified, our exterminator will devise a plan of action to move forward and assure proper removal of the bed bugs from your property. Bed bugs are tricky because just one left behind can turn into a whole other infestation. Our exterminators are careful when removing bed bugs and make sure they eliminate the entire colony. See more information about our bed bug exterminator. Fleas are a common bother for people in Brooklyn. Whether they’re coming in on your pet or getting in on their own, fleas don’t belong in your home. When you need a flea exterminator company in Brooklyn, you can count on Rest Easy Pest Control. Our service is top notch and we’ve successfully gotten rid of fleas in Brooklyn numerous times. Don’t let the problem fester, call the trusted flea exterminator today. If you live in Brooklyn, you know that this county has an attitude all its own. Don’t let pests bring you down and prevent you from enjoying everything Brooklyn has to offer. Instead, consider organic pest control to regain control over all of your pest problems. Rest Easy Pest Control always prefers to work with organic treatments whenever possible. We know the safety of your home is of the most priority and we tailor to those needs. You can rest assured that your Brooklyn pest problem is in great hands. Contact us today for a free estimate. Rest easy knowing that your pest problem will definitely be taken care of.